The role of the VSS is to prevent overwhelming sepsis in people after splenectomy or a diagnosis of hyposplenism. This is done through education, immunisation and preventive antibiotics. The VSS has registered more than 3000 people ranging from 3 weeks to 89 years of age. With the availability of new vaccines against pneumococcus and meningococcus, immunization regimes recommended for these individuals have had to be revised. 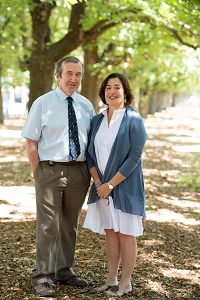 The VSS is currently participating in an NHMRC funded research project to determine the optimal immunisation schedule for these people and has also been pivotal in the development of a new test (IgM memory B cells) to measure spleen function.